I know so little about this part of the world so thank you for the fascinating story. We are still trying to decide where our next overseas adventure will be. Eastern Europe is certainly on the radar. I am thankful for a little internet time so I can catch up with some of my favorite bloggers. Hope you and Richard are having a wonderful summer. We’ve always loved history but combining it with travel has made each new place we visit come to life in unexpected ways. And Eastern Europe is front and center on our radar too as there are so many countries to pick and choose between! 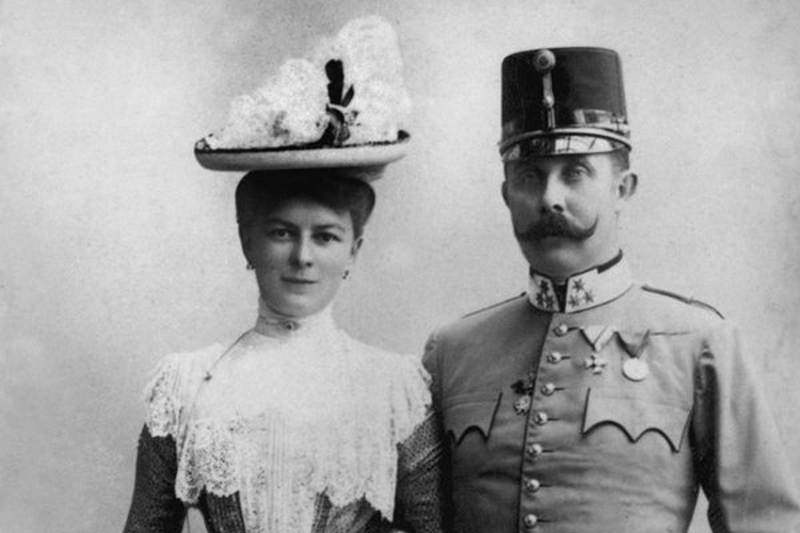 We’re glad you enjoyed this post, as we too found the story of Archduke Ferdinand and his wife to be fascinating. As for summer plans, we’ve been enjoying lovely Lagos and staying at home during Europe’s high season to avoid the crowds. But I’ve been walking down memory lane reading your posts about your summer in Yellowstone National Park. We spent many long weekends and summer vacations in that area during the years we lived in Montana. They call it “God’s Country” and we’d have to agree! Fascinating story Anita! I knew of the castle and it’s actually on our list of places to visit (we are in Prague in 8 days…for a month) but I had no idea about the history. Incredible the things that can happen – being the base for a quiet rural life where hunting and raising a family where priority to suddenly being known as the residence of the man who’s assassination resulted in such an upheaval in Europe…and eventually the deaths of over 80 million people between the 2 wars. It is hard to imagine. Ha! Don’t you hate those comments that zoom out to wherever limbo is or the ones that disappear after you’ve labored over your wording to make an especially astute observation? I know the feeling! There are just a few photos of the Archduke and his family online but, like you Patti, I thought Sophie was beautiful too. (Him – not so much. 🙂) In all of them, Duchess Sophie is cinched within an inch of her life with the “wasp waist” and hourglass figure that was so fashionable back then. So glad that we live in the era of comfortable clothes, aren’t you? Wow! I love history and I really enjoyed your article on Archduke Franz Ferdinand, the castle, his wife and the piece he played in the start of World War I. Excellent!! So glad you liked this post Marilyn. 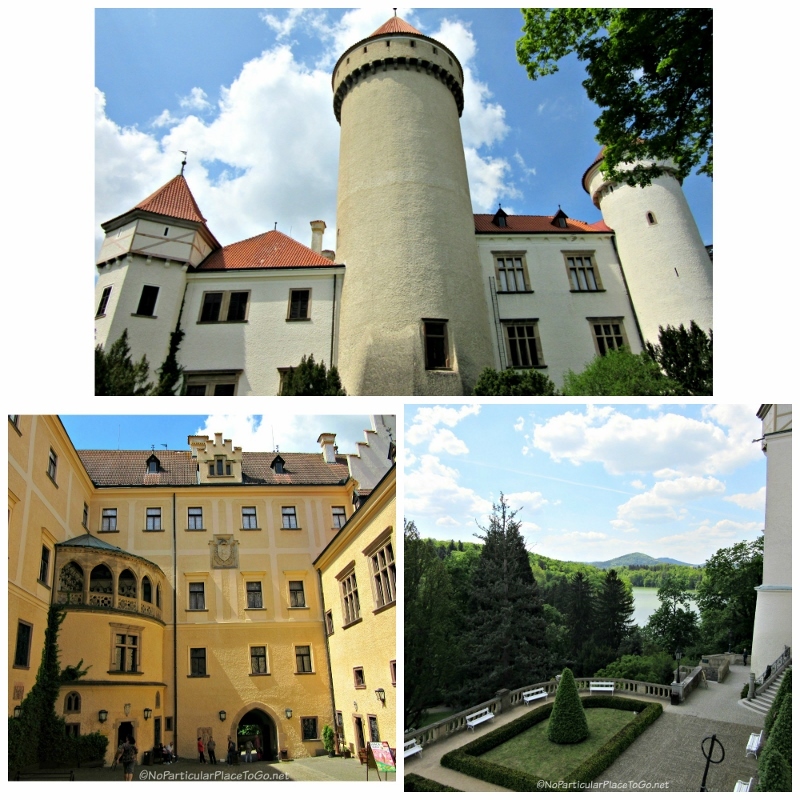 We had a great time taking the tour of Konopiště Castle and exploring the grounds. And we also had a good time falling down the internet rabbit hole reading numerous stories about the Archduke Ferdinand and the events leading up to WWI. We always seem to absorb a lot of information during our travels and it’s fun to meld some of the things we learned decades ago in school with a visit to an historical site where we can find out even more about what happened, the people, the history and politics and many times, the aftermath. So fascinating! Quite a fascinating place. Pity you couldn’t take photo’s inside, but then that can wreck some paintings. The trophy room really is, just a little bit strange – never seen anything like that before. It never ceases to amaze me how odd some aristocrats were/are. We were initially a little bummed that we weren’t allowed to take photos in most parts of the castle but the ban allowed us to fully focus all of our attention on the tour and really appreciate the castle and its amazing furniture and treasures. And Rick Steve’s video was a much better solution than the amateur photos we would have posted. 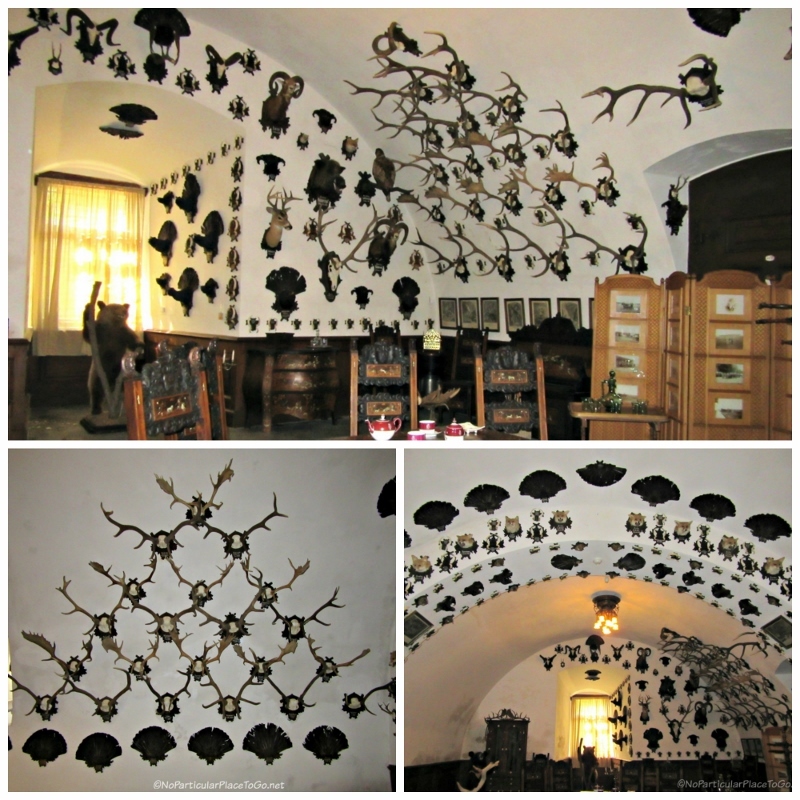 🙂 Over the years, we’ve seen hunting trophies in other tours but never the staggering quantity that we saw in Konopiště Castle. And the repetitive display of them in decorative arrangements really was bizarre. I guess now as well as in the past, when you’re way past stinking rich and can buy whatever you desire, you can acquire both some very odd behaviors as well as collections! I absolutely love reading about the history of these amazing castles. Thank you so much, I quite enjoyed this post. Thank you for your enthusiasm. We are still quite enamored with Europe’s castles ourselves and don’t see a time when we’ll ever tire of touring them. And Konopiště Castle was especially beautiful with its ornate and priceless furnishings, all of its art and treasures and the extensive, well-tended grounds. Having the furnishings in place that belonged to the Archduke and his family gave us a unique glimpse into the wealth of the future ruler of the Austro-Hungarian Empire as well as how the ultra-rich lived a century ago. A pretty fabulous life-style! What a history behind all the grandeur! Thanks for the education. The grpunds look beautiful but I hate that room with all the heads and skins of animals hunted and stuffed like “trophies”. I honestly will never understand hunting as sport. Great read you guys! Thanks Peta – We’re so glad you like the story of Konopiště Castle and learning about some of the history that’s a part of it. To be truthful, the sheer quantity of the trophies was disturbing and we were ready to write the Archduke off as a cold-hearted butcher (which he undoubtedly was) but learning about his relationship with his wife and family really softened his image for us. Having lived in Montana for several years, we had many friends who enjoyed hunting and providing food for their families but I have to agree, it’s hard to condone the wastefulness of trophy hunting and the stuffing of animals/birds/fish really is pretty gruesome. A little late commenting. I saved this post for my bedtime reading tonight. Fascinating history of Ferdinand’s bizarre hobbies. I pity his wife and what she had to endure. But, I guess love conquers all. Thanks for a new perspective and the video of the amazing castle. The Rick Steve’s video was great wasn’t it Debbie? We weren’t expecting a love story when we first started researching Franz Ferdinand so our post had a bit of a twist that was a little different from what we’d originally envisioned. And you’re right about feeling some sympathy for Sophie versus the royal aristocracy. The European royalty was so inbred by then, you’d have thought venturing out to include some lesser noble persons into the family gene pool might have been a welcome idea! That picture of the castle at the top looks like the setting for a fairytale! It does, Irene! And the thick woods that surrounded the castle could have been the setting for many fairy tales, too. 🙂 The grounds and gardens are absolutely lovely and the inside is beautifully furnished too – even with all the antlers! Hope I get to visit one day! You’ll have to put it on your still growing “must see” list Irene.🙂 Definitely worth it! I’ve never been to Prague or its surrounding areas. This castle sounds like a reason to add it to my “life after 50 travel bucket list.” Thanks for sharing. 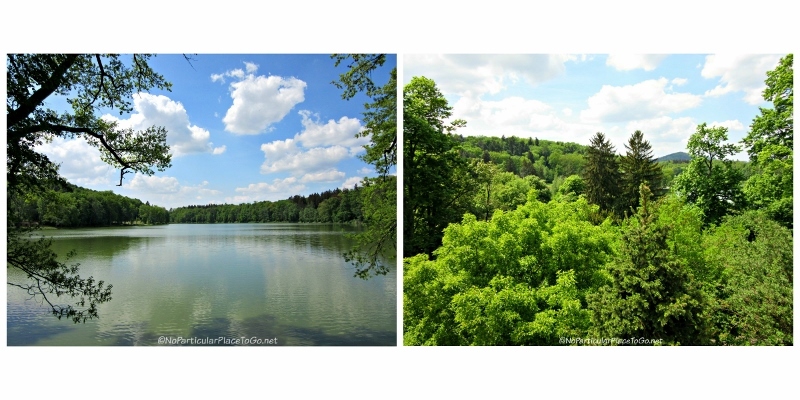 A fascinating story – and an intriguing place to check out on our next visit to Prague. Thanks! 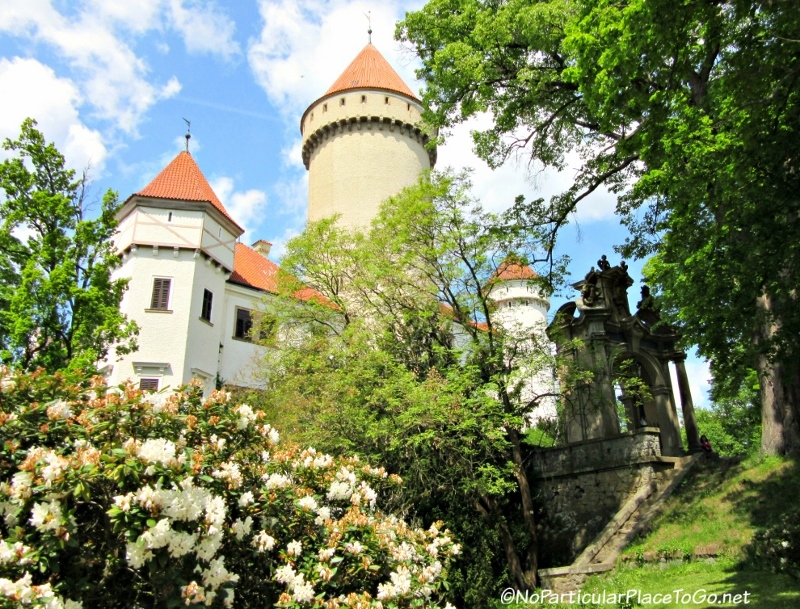 We agree with you that Konopiště Castle and its story is fascinating. Of course the caste and its grounds are amazing but learning more about Archduke Ferdinand, the politics of the day, the history and the changes to the maps before and after “The Great War,” made our visit all the more interesting. We’d definitely recommend a tour of the Castle and also would suggest a visit to Kutna Hora and Terezin too. Prague is beautiful but the villages nearby have a lot to offer also to a traveler looking for some more sights to see! I was wondering how we missed this castle during our 3 day visit to Prague (i.e. a nano-second for you two), but when I saw it’s 50 miles outside the city, I understood. Thank you for supplying yet another reason to spend another 3 days some time in Prague. We do like traveling s-l-o-w Suzanne and, especially in the case of Prague, found that the weeks we spent there still weren’t enough to see all we’d hoped. We’d definitely recommend renting a car as the cities and villages nearby have a rich and fascinating history and beautiful architecture as well. I think a revisit of Prague and the Czech Republic would be a great idea for you and us! You DO manage to find the most intriguing little off-grid places, Anita (in a land that these days is already bountifully blanketed with all manner of tourist attractions). And your unique “back stories” only add to the pleasure of reading your posts. And this one indeed – dear ol’ Franz – the infamous trigger (pun intended) that touched off “The War to End All Wars” (which sadly, it clearly wasn’t). Thanks Dyanne for your kind words and your enthusiasm for the back stories which we so love to dig into! It sounds like you’ve got an ambitious read on your Kindle but isn’t it fascinating to learn about all the various politics and history and how they fit together to form a glimpse of the world in various time periods? I have Bill Bryson’s, “A Short History of Nearly Everything” queued up on my Kindle (Richard raved about it) which sounds plenty challenging but also entertaining too. Now if only I could remember it all! Those hunting trophies really are pretty creepy! Konopiste reminds me of a country estate I visited in Sweden called Oster Malma. It had similar walls covered with hundreds of antlers and such. Not for vegetarians! HaHa – Not for vegetarians at all Rachel. It’s funny you should mention that because there was an onsite restaurant that was located in the old kitchen of the castle and one of the offerings was venison which we both enjoyed. I guess seeing all the past carnage didn’t affect our appetites in the slightest! I think I’d find those animal trophies rather creepy – reminds me of an antler museum I saw once in Portugal. The sheer number of the trophies is mind boggling and it’s hard to imagine that at one time, it was fashionable to decorate your home with stuffed animals and skins. And these were only a small percentage of his collection! We’ll have to see if we can find the antler museum on one of our road trips around Portugal. What a fascinating story, well told. Thanks for contributing to my education. This is another very good reason to visit Prague!!! Carol, definitely put Prague on your Bucket List and don’t forget to check out some of the cities and villages nearby. We learned a lot with this visit and spent several hours after our tour reading online accounts about the Archduke and his family, the politics of the times and the assassination. We both liked history in school but we’ve found that seeing some of these places for ourselves really makes history come alive! Very interesting. Enjoyed this story. Thank you for sharing. So glad you enjoyed this Ann. And the sharing of our travels is half the fun! Thank you Anita and Richard. Beautiful castle and interesting history. I knew about Archduke Franz Ferdinand in the context of his assassination and World War I, but not much else about him. I think I might find the hunting trophy displays a bit creepy. Like you, we didn’t know much about the Archduke Ferdinand and Sophie except for their assassination in Sarajevo and the falling dominoes that led to WWI. We had a fascinating time reading through some of the material on Ferdinand, his family, the castle and of course the assassination. The story of the assassination might almost make one believe in fate, Donna, as Ferdinand and Sophie had survived an attempt earlier that morning (a bomb that missed its target) and only met their killer by mistake. Their driver took a wrong turn and stopped right in front of one of the conspirators who was drinking a cup of coffee outside a cafe. Stranger than fiction, right? Thanks Susan! Traveling slow is our favorite way to visit a place and we were so lucky to have several weeks to spend in Prague. We both did quite a bit of reading on Prague itself and then put together a list of places we’d love to see around the country. We weren’t able to visit everything on our list before our time ran out (a good excuse to go back!) but what we saw really was memorable. We always enjoy your narrated history and filling in many of the details that often get overlooked. The story of the Duke’s marriage presents a different aspect of what otherwise is a pretty dark character. The castle grounds and setting is beautiful. The hunting trophies are creepy and we saw a similar display at Dunrobin Castle in Scotland which was quite disturbing. Researching the back stories and tying them to the history of a place are almost as enjoyable as the actual visit! And yes, the story of Archduke Ferdinand’s and Sophie’s love for each other was definitely the humanizing factor of Ferdinand as the hunting trophies were really overwhelming. (And that’s only 4,000 of them on display at the castle. Can you imagine if more of the collection was exhibited?) But you guys really would have loved his shooting range with the mechanized targets.It was really a clever toy with some beautiful paintings in each scene. A unique piece of art all on its own! The grounds were impressive and the gardens that we saw, all terraced with statues scattered around, were beautiful. 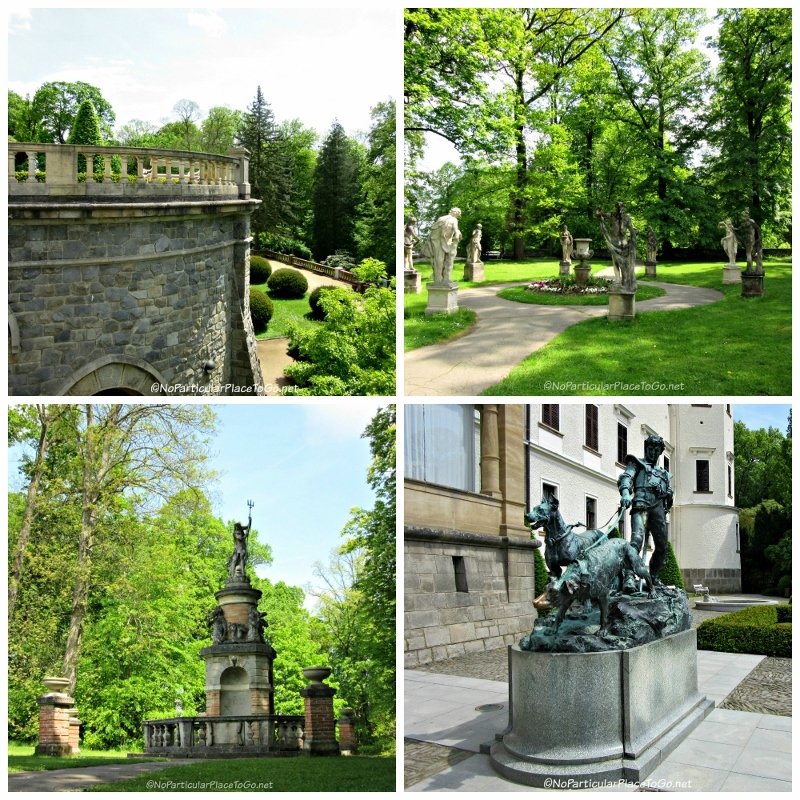 Wish we’d had a chance to wander around more because Konopiště Castle’s extensive gardens are supposed to be spectacular. So glad you enjoyed this post, Gilda and had a chance to watch the RS video which shows how truly magnificent the inside of the castle is. In a way, it was kind of nice not being able to take photos because we had a chance to really appreciate the furnishings rather than fidgeting with our cameras but the furnishings were absolutely gorgeous. 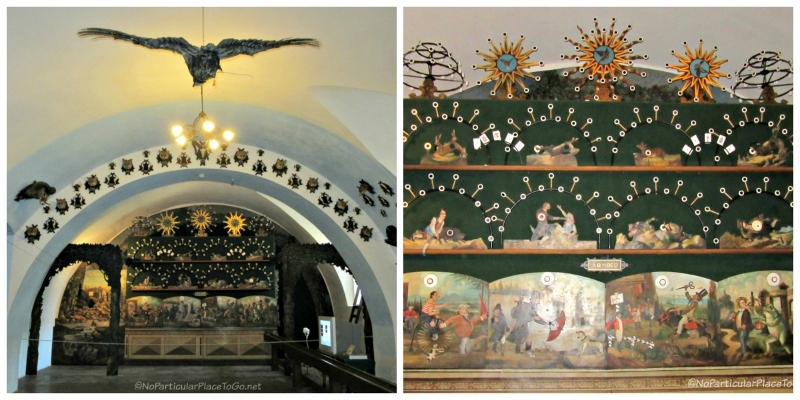 If you find yourselves in Prague, I’d recommend the extra effort needed to visit Konopiště Castle. It’s well worth the time! This was really interesting. I knew nothing about him except his place in history as the catalyst for WWI. The hunting! OMG! it strikes me as just a tad crazy, or at least obsessive – this urge to kill something, over and over. “Described as “not a very likeable man,” he had a reputation for a hair-trigger temper. In fact, his rants and raves were so terrible that many questioned his very sanity.” This immediately reminded me of someone else who was born into great wealth and is in the news a lot these days. Creepy is right. HaHaHa Alison! I had to laugh when I read the description and your inference! And yes, the hunting is really abnormal, even in the days when it was done for “sport.” There was one record day when he killed over 2,400 living creatures which is appalling. And then think of the time writing everything down. 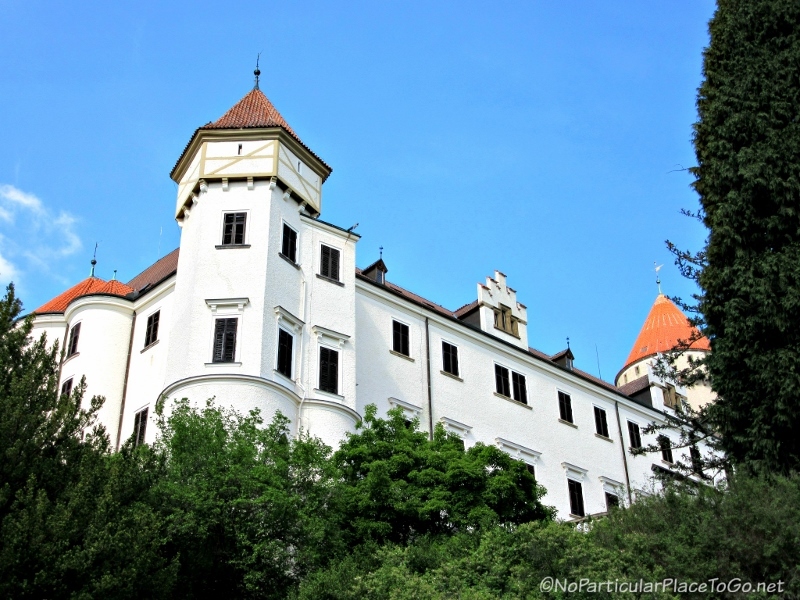 Like you, we knew very little about Archduke Ferdinand until our visit to Konopiště Castle except for the few lines the history books give but after seeing his castle we had a great time learning more about him and Sophie. And the assassination story was a “stranger than fiction” series of events culminating in a wrong turn that took them straight into the path of their killer. So many twists to this momentous event! Great insight into the storm clouds preceding the world calamity of 1914-18. It’s always more interesting to put names & faces with history, and the artifacts/edifices those people inhabited. Great story, you two, keep ’em coming. So glad you like this post, By and Mariah. Traveling anywhere, but especially here in Europe, is just a bonanza of fascinating stories and a chance to get a glimpse into the lives of the people who were the movers and shakers behind the dry old dates and histories we learned in school. Visiting their homes and seeing the cities where great events took place really does make history come alive! I would have been a little freaked out with all those antlers.. :-). Yeah..they were right in questioning his sanity. The love story is kind of cool, it must have been real love as l am so sure l wouldn’t have put up with all the stipulations. I can just imagine how beautiful it must have been inside in real life. Thanks for filling us in on his life. It’s good to be the king! :-). I will forever keep saying that. The castle and furnishings were amazing, Kemi but yes, all the trophies were a little much. 🙂 I read quite a bit about the romance between Franz Ferdinand and Sophie and it was a really interesting story that made him a lot more likable. One account I read about them seemed to think that his “arrogance” was more a desire for privacy and loyalty to his wife. In fact, his last words to her were, “Sopherl, Sopherl, don’t die. Stay alive for the children.” Kind of sweet, huh? Great photos Anitta. Mine didn’t turn out nearly as well – even with the editor. Love the video! Thanks for sharing your travels. Your descriptions are eloquent and well-worded. We also enjoy your input on Rick Steves’ Travel Forum. Thanks Dave for your kind words. We love the travel but we also have a lot of fun reliving the experiences when we sit down to write about places we’ve visited. In Europe especially, it’s been fascinating to dig into the back stories behind the places and learn about the major and minor players. It’s a great way to make history come to life! Really interesting to read this as I’ve “known” the name Archduke Franz Ferdinand for so long and the relationship to setting off WWI. Love the castle, but the inside room with all those antlers and stuffed heads? Ick! The quote “Lions and tigers and bears, oh my!” kept going through my head when we first saw one of the rooms where the trophies were displayed. A major creep factor but fascinating too to learn about his Franz Ferdinand’s obsession with hunting and collecting. 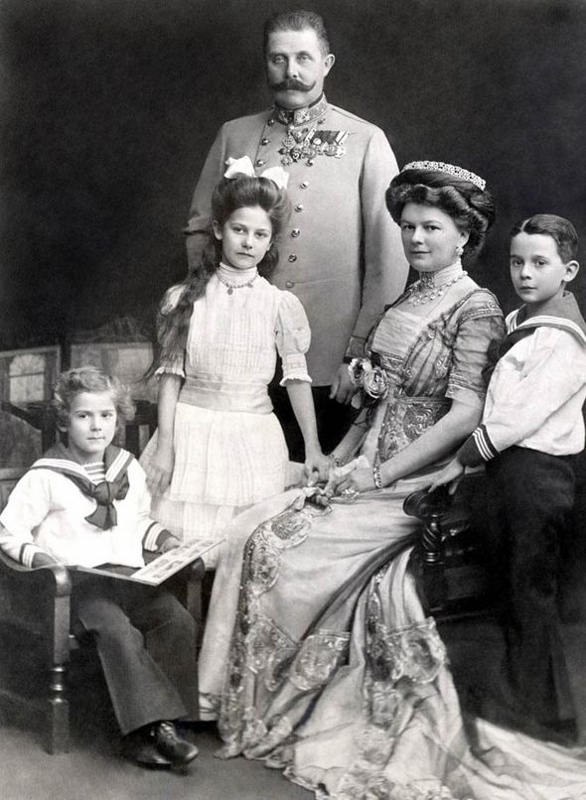 Like you, we “knew” the name Archduke Franz Ferdinand from our school days but our interest was piqued when we learned about his ties to Konopiště Castle while we were researching things to do in the Czech Republic. It was fascinating to dive into his biography and read about the European events leading up to his assassination. And what fun to see how the the truly wealthy lived back when kings were kings and men were men (tongue-in-cheek! ).